The new documentary about Stuxnet, ‘Zero Days’, says the U.S. had a far larger cyber operation against Iran called Nitro Zeus that has compromised the country’s infrastructure and could be used as a weapon in any future war. Quoting unnamed sources from inside the NSA and CIA, the movie says the Nitro Zeus program has infiltrated the systems controlling communications, power grids, transportation and financial systems, and is still ready to “disrupt, degrade and destroy” that infrastructure if a war should break out with Iran. The multi-million dollar program was run from within the NSA during the same time Stuxnet was active, and was put in place should the U.S. be drawn into a war there because Israel launched an attack against Iran, according the film by academy award winning director Alex Gibney. The movie opened in U.S. theaters today. Stuxnet, the worm discovered in 2010, infected computers inside an Iranian uranium-enrichment facility and damage the centrifuges purifying the ore. The U.S. was concerned about that possibility of war with Iran in part because Israel, which partnered in creating Stuxnet, unilaterally altered the code and released a more aggressive version of the worm. That version was less stealthy and was discovered by cybersecurity researchers. For those well versed in cybersecurity the movie is disappointing in that it doesn’t delve into the finer points of Stuxnet and how it worked. At the same time, it does a creditable job of explaining the worm to a general audience and making clear what made it innovative and effective. For the more technically inclined, the film contains some riveting interviews with researchers at Symantec who devoted their lives to unraveling the code line by line to figure out what it did, how it did it, who created it and what the target was. The film interviews Sean McGurk, the director of cyber activities at US-CERT, which is part of the Department of Homeland Security. DHS spent a lot of time trying to figure out how Stuxnet might pose a threat to U.S. critical infrastructure because no one told it that Stuxnet was a U.S. operation, he says. 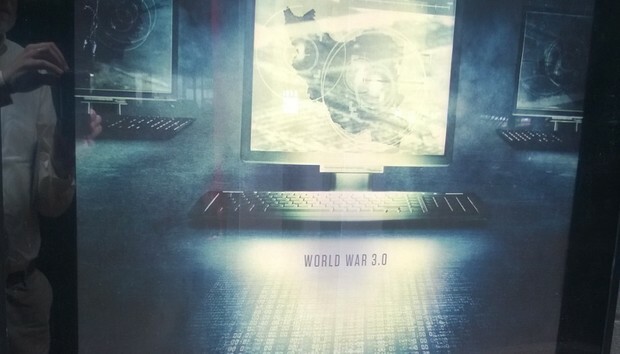 Beyond the technical aspects, the movie delves into the broader consequences of cyberwarfare and how there are few rules governing it. Use of offensive cyber tactics must be approved by the president, the only weapon requiring such authorization except for nuclear missiles. The government doesn’t acknowledge that it engages in cyber weaponry, and that is a problem for trying to keep their use under control, says Richard Clark in the film. Clark is a former presidential security adviser to presidents George H.W. Bush, Bill Clinton and George W. Bush. He says it may be difficult, but treaties and international agreements about these weapons can be achieved, just as they have been for nuclear, biological and chemical weapons. Former NSA and CIA director Gen. Michael Hayden says these weapons must be discussed publicly in mature debate in order to avert widespread disaster based in their use. “This stuff is hideously over classified,” he says in the film. The consequences of attacking critical infrastructure with cyber attacks is enormous, according to anonymous CIA and NSA personnel quoted in the film. “If you shut down the power grid, you can’t just pop it back up,” they say. The death toll could be enormous if a nation’s power was down for an extended period. And the U.S. infrastructure is just as vulnerable as anybody else’s. “Something we can do to others is something they can do to us, too,” they say.